This steel plate is circular in shape with circular patterned meenakari work embracing the interior of the thaali. 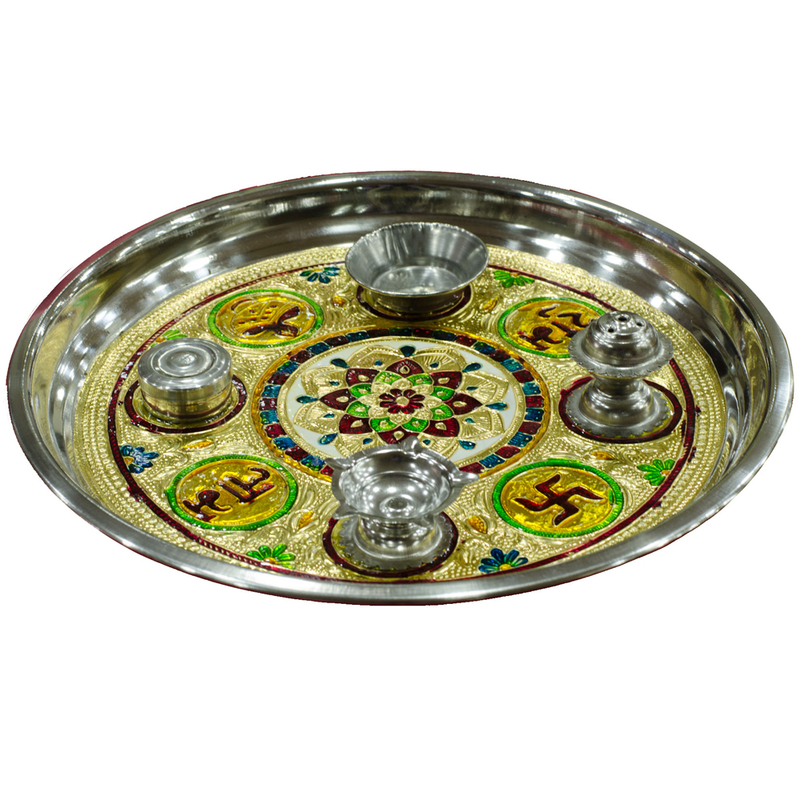 This plate has the use of colorful Read More..hues to create a sense of religiousness. yellow, green and blue colors adore this product. A peacock with its wings spread is depicted on the plate. this plate makes a good present and also helps in attracting guests during religious events. Show Less..